The memories are too clear. His family invited me to the hospital to say goodbye before they stopped the respirator. I stood there with his mother and his father and thought of how the runner's heart in his chest continued to beat blood through his damaged brain. Running had made me a part of his family. The next summer, the hottest summer I remember, his father and I laid out a XC course through the school. We lined it with flat sandstone that we hauled on a rickety trailer from Crab Orchard. It felt good to work and sweat, but not as good as running with John. This was almost a decade ago. It's a cliche, but we repeat it anyways: we don't know what we've lost until it's gone. I didn't realize how powerful my connection to John was until my knees buckled when I heard the news. I didn't know how deeply I could be affected by an athlete until I tried to speak about him to the school in the days after his death and found that my voice could not sound. On Monday afternoon, the running community felt some of the power of our connection. We all shared a common experience: that of the possible loss of our friends. Some of us experienced real loss. Those of us who avoided that real loss on Monday were brought to reflect, as I do now, on other losses that we have experienced. As I sit here overwhelmed by the reception of the piece I wrote on Monday, its themes come back to me. Vulnerability. Exposure. Pain. Endurance. Love. Risking being open. -- and how those things are the essence of non-violence. One of the things that I love most about running is the feeling of moving with a stripped-down body across open ground. We do feel exposed when we run, and I think that's somehow wrapped up in the freedom we feel when we do it. Acts of terror exploit this freedom. Their consequences almost always result in the erection of walls, monitors, checkpoints. 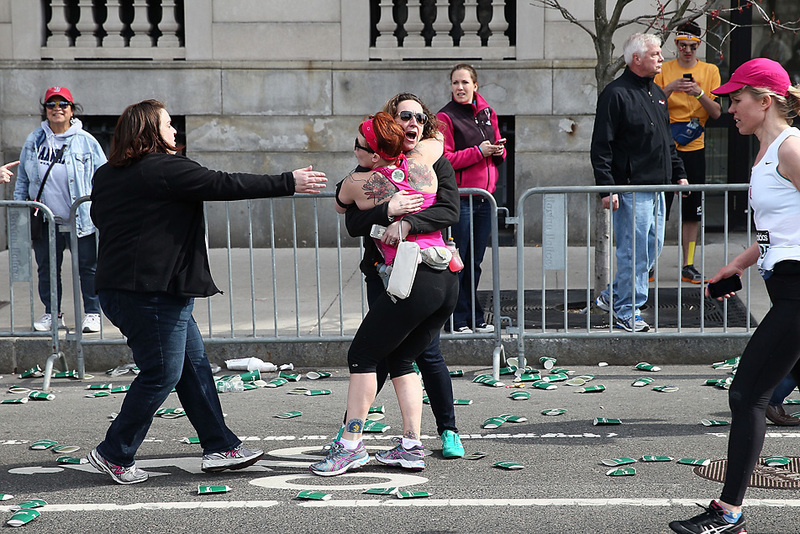 These are physical reactions to basic human vulnerability and the way it exposes us to risk--and to each other, and therefore unfortunately to the possibility of violence. The pain I felt when John died was truly awful. By becoming so close to him, by allowing our lives to intertwine, I unwittingly exposed myself to trauma. I don't like to revisit that pain, but sometimes it visits me. When it does, I try to remind myself that this pain is the mark of companionship, even though it doesn't feel like it. Not at all.